I love working with people who are interested in becoming Muslim or recent Muslim reverts! At the end of last year, I had an opportunity to educate two 10 year old brothers whose parents were interested in becoming Muslim. Also as you guys know, I coordinate a Youth Grouphere in Frisco, TX and a few months ago one new Muslim revert (only 14) joined our group. It was cool enough getting to know him and see his passion for Islam. And if that wasn’t enough, just recently a new brother (18 years old) who is not quite a Muslim yet but interested, joined our Youth Group as well alhumdollilah! The bottom line is,new Muslims are usually really good Muslims mash’Allah and thats one of the reasons I love working with them! My uncle from Plano, Tx requested to advertise this event on my site, I will be helping him volunteer in this insh’Allah, like I said I love working with these type of people! Christianity and Islam – What is common? 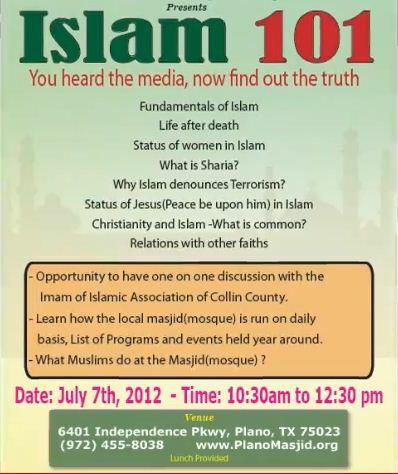 – Opportunity to have one on one discussion with the Imam of Islamic Association of Collin County. -Learn how the local masjid (mosque) is run on daily basis, List of programs and events held year around. -What Muslims do at Masjid (mosque)? 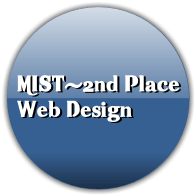 Click here to check out the video preview.